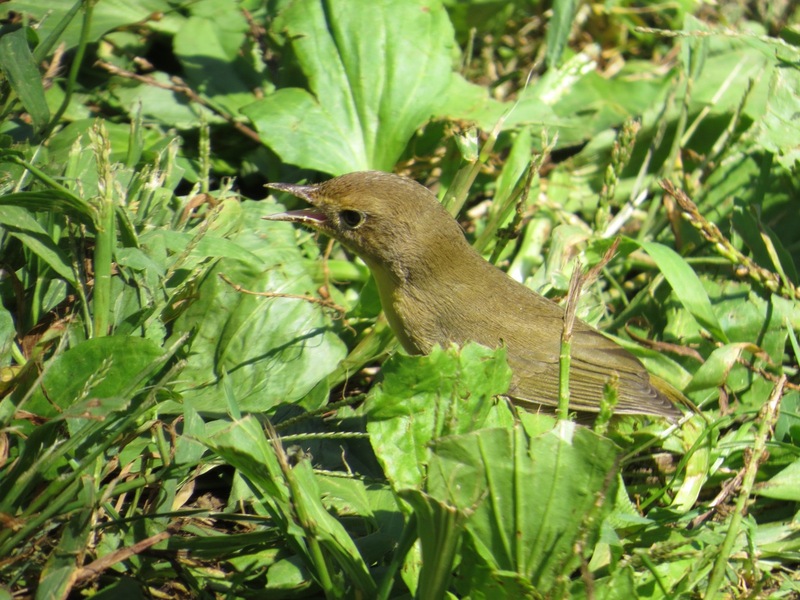 A female Common Yellowthroat warbler (Geothlypis trichas) absent all her tail feathers. 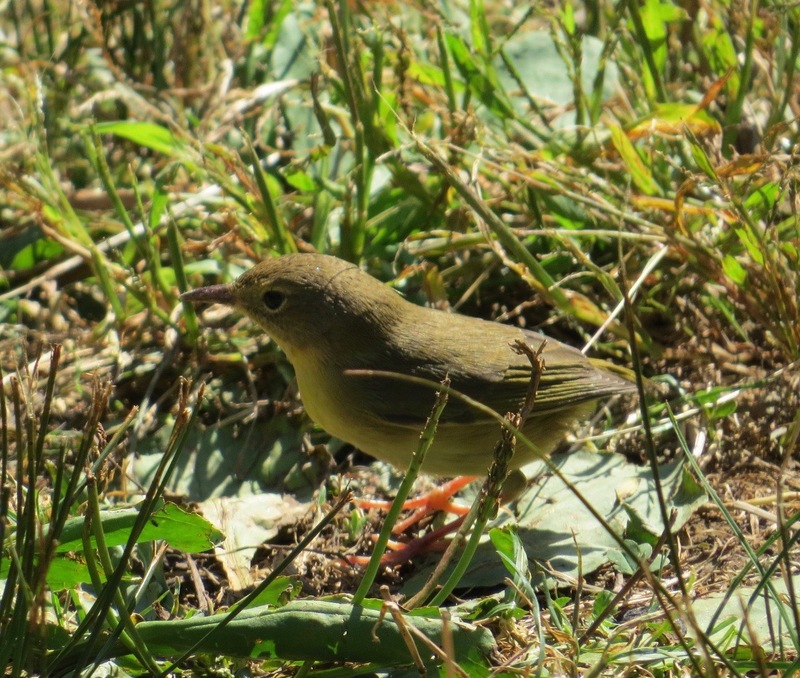 A small bird made even smaller. She may have lost them all at molt, although that’s usually a progression not a sudden loss. Or maybe a cat got her? Whatever the case, she was doing fantastic work grabbing larvae and adult bugs, even a moth. Managed to fly out of the way of a yoga dude so in tune with the universe that he didn’t notice.